a step by step guide for beginners. You probably got yourself thinking, “What is SEO?” and perhaps, “How do I learn SEO?”. As you may know, the SEO landscape has definitely changed in the past few years. In the upcoming years, SEO practitioners and online entrepreneurs can expect for greater development as well. If you have not been immersed in SEO and you want significant growth for your business, now is the best time for you to start. However, your entry should be done one step at a time as, you might get overwhelmed with the amount of information rushing in. The Internet will offer you tons of research materials as your references. The myriad of information can confuse people at the beginners’ stage but this simple yet, best SEO tutorial will teach you more about the step-by-step SEO process. Eventually, this will be your guide on doing your own website’s SEO. To be honest, even I had a hard time explaining the work that I do every day. Neither my close friends nor 2nd family (mum/dad/siblings) understand what is SEO. It’s totally bizarre to them and they probably won’t get the entire picture of how SEO works. But you may have heard about SEO or search engine optimization (rarely called as search optimization). SEO is the discipline of optimizing websites to increase their visibility in search engines like Google. An algorithm (e.g. Google algorithm) ensures that all information points in search engines are carefully indexed and piled. Once the data is sorted, it will be available to all web searchers and users who are looking for a specific information. Same case as we type in Google search bar to find the information we want. This process happens in milliseconds because people who are searching for something want quicker results. You may think that this process is simple — in a way, it is. However, optimizing your websites to maximize online visibility is the real challenge. The variance is large since search engines such as Google need to navigate through billions of web pages in the internet. To make your website stand out, your website’s SEO should be efficient. You need to utilize powerful SEO strategies to make your marks. Additionally, you must consider how your content can affect the demographic. The number of SEO experts has multiplied over the years and this is attributed to the improving landscape of the discipline. Another key factor that increased the number of experts is the availability of materials. Under 6 months or 1 year of rigid training, you can learn SEO. Add in more years and you can now become an SEO expert. You should take advantage of the plethora of SEO experts if you want your business to become more visible and stable. Some experts may charge you for in-depth information (in form of SEO consulting), while others can settle for an ex-deal (e.g. local SEO services for a start-up business in exchange for a share in that particular company). Utilizing the advantage of SEO is like cracking a government-level code. It will take time and resources. SEO campaigns will require you to think ahead of the market and online competition. Eventually, once you strategized your SEO campaigns well, your business can have the competitive edge it needs. A website is the virtual domain owned by a webmaster. If you are a business owner, you can compare it to your physical store or office but only available via online. In common instances, brick-and-mortar business owners kickstart the idea of creating Facebook pages or Etsy listings to showcase their products and services. …however, the difference in creating a website and putting up a Facebook page for your business is extremely large. When you are putting up your business presence inside Facebook, it’s like renting a space inside a huge mall. But when you have your own website, you are able to get complete control of your virtual store or office. If you have a website, you can engage your readers and visitors and turn them into long-term customers. Before making a website, it’s important to know that you have the option to settle for a free or premium one. The advantages of having a website now outweigh any possible expenses down the road. …and one of them is through having a website. With hundreds of online providers and hosts nowadays, you can now create a website in few minutes. The real challenge is the maintenance of the website. Proper and consistent control of the website is the key to bring in the customers to your business. Of course, this won’t be easy. If your business has a website that people can visit, its image of professionalism will grow. The visitors will also realize that you’re a well-focused and proactive. Think of your website as another method of communicating with your customers. In this sense, you have to make your site as presentable as possible. Spend time in mastering content and make sure that your marketing initiatives can really hit their marks. To save your time, especially if you have little experience in web design and management, you can always hire an expert. Just be prepared though— an expert may charge steep prices for his/her services. Your website establishes the identity of your business. It can now increase your chance of gathering more investors/clients in the future. Having said that, the appearance and content of your website will matter in this case. To make sure that your website will appear favorable to your audience, you should focus on content quality, aesthetics, and digital marketing. Your website is a tool that can bring growth to your business. Utilize it well and success can eventually follow. PRO TIP: Want to go full swing online? Go for the premium if you ought to get a website for your own. Although it’s a tough investment, it’ll save you from a lot of hassles in the long run. I highly recommend using namecheap for getting your domain name and SiteGround for your web hosting. Both are cheap and fast. Every great discipline will have respective pillars and foundations. Imagine the structures of ancient Roman temples — the pillars will always strengthen the discipline. SEO is a great example of a modern-day discipline that will take months or even years to master. Many internet marketing experts around the world committed to bringing the best SEO techniques, thus radically changing the whole process. Over time, the pillars of SEO became more apparent and they can be observed in a new spectrum. I actually decided to cover a separated long topic for keywords selection because of its beauty. You can learn more about keywords in the keyword research section of this site. SEO practioners across the globe have been securing their websites after Google announced (in 2014) that HTTPS will have a bearing on the ranking of websites in their search results. Basing on my personal experience, sites which didn’t had any https still gets almost equal fighting chance in ranking of Google’s results. Moving forward however, we may expect that more secured sites will be placed on higher results since Google made it known that they’ll give more credit to secured website. Besides, your competitors in the organic ranking may have been doing it so why shouldn’t you? Although these two elements lies in the technical aspect of SEO, Google had an emphasis that they would want to show websites which are faster and mobile-responsive. This brings slower websites into the negative side as they will have a harder time ranking at top results. Just like SEO, content has to evolve for the better. Content creators have learned many things when Google pushed out its Penguin and Panda updates. They were belted into submission, making content dynamic and more useful for users. Basically, it’s fitting to say that Google doesn’t tolerate trash content anymore. Long ago, shallow pages with rubbish content were accepted by search engines but as the years go by, the search has been developed to produce the right content that’s being searched by browsers in the web. Spammy websites with plain copy pasted content are now heavily penalized by Google way back in 2014. From then on, quality content became one of the strong pillars of SEO. Experts will painstakingly approach SEO from a content standpoint, employing various strategies to deliver the business message to the customers. Back then, Google was hounded with garbage sites that were filled with poor content and excessive links. This is why Black Hat SEO became more prevalent in the old days. As the updates rolled out, the practice of black hat SEO and spamming have been hit hard by Google. Links are still crucial nowadays but they are used strategically and sparingly. A wrong link building tactic can penalize a site, so most link builders executed their moves carefully. Branded keywords provide stronger signals to Google. It somehow reflects how authoritative your website is – and authority means a lot to Google. The more organic traffic your website receives (with the help of its brand keywords), the better for your business. 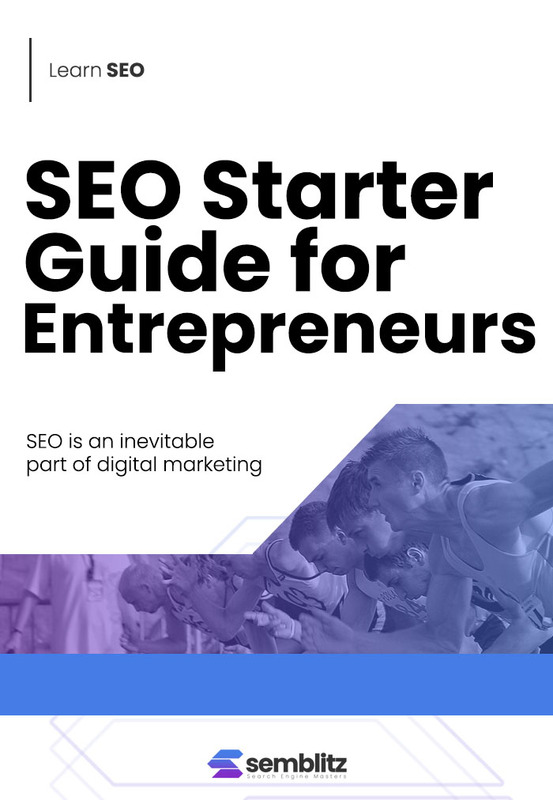 By understanding these key pillars of SEO, businessmen and digital marketing beginners will learn how to build their campaigns efficiently. This way, businesses can reach end users with speed and accuracy. The very common perception about SEO is that it is one medium that enables higher rankings on the search engines. However, there is more to SEO than simply rankings. The complete science of SEO enables marketers to understand what their ideal prospects are looking for and how a brand could be optimized. Ultimately, SEO provides online presence to provide value at the time of the touchpoint of the prospect with the brand. It is now a known fact that strong user behavior signals are one of the ranking factors of Google and that it is taking all the measures to provide value to it users. On-site technical factors like the page loading time, call-to-action and more talk about the important role of user experience signals in the organic search algorithm. SEO needs to evolve from keywords strategy and content optimization, to understanding which information consumers and the targeted users want to consume in addition to knowing how, where, and when. Thus, it is equally important to know how the users engage on a site as it is to rank thy website. Both UX and SEO are the inseparable components of an online marketing campaign. Here are 4 essential things that could be achieved on aligning both SEO and UX which should be followed by an SEO service provider. In today’s customer-centric age, most of the user’s experience start even before the users arrive on the site and that is through search engines. SEO experts utilize the data acquired from keyword research to identify the search patterns of people and what topics they search for. When UX designers are empowered with this data, two things will happen: firstly, design decision will be based on analyzed data. Secondly, site experience will be incorporated with SEO insights. This insights can be in form of dwell time. It is vital to understand that if there is a broken link, it is not just a problem from the SEO perspective. It is also a user problem as when the user clicks on a link and expect some content but end up seeing an error message or a blank page. Thus, when you consider both SEO and UX together, there will be less chances of losing a visitor to your competitors. Sometimes in the process of identifying potential SEO threats such as reduced traffic, reduced conversions, and rankings, you will be able to develop a creative solution that could result into your website functioning a lot better in terms of both SEO and UX. While working with a UX designer about targeting a landing page for certain keywords, you can also identify other inventive ways that could help in converting more visitors into leads. Thus, the site architecture and the particular landing page could now be accommodated with an additional level of the content. The partnership of the designers and online marketers could lead to an SEO goal, however the resources that were made available to the users were of the optimum quality. When SEO and UX are working together by sharing their goals, the result would be a great user experience that will not only be liked by the users, but also by the search engines. To display better results in their top 10, Google was forced to constantly improve their search engine – including their search algorithm. Since its birth, Google never ceased to have search index changes and refreshes (both minor and major). It was a conventional move but tactical at the same time. Conventional: these constant Google algorithm updates would purge all rubbish webpages being indexed by their search engine from time to time. Tactical: Alongside with this changes, Google creates chaos and confusion to SEO’s across the globe of how they evaluate webpages. Of course, Google wouldn’t spill the beans of how they rank websites organically. Right? However, it is still safe to say that Google algorithm updates will always be there, and more will even be rolled out in the coming months or years. Focusing on these updates can siphon your creative energy. On the other hand, deciding to decode Google’s long history and trending major updates, can yield more understanding about the latest Google algorithm updates that can affect your SEO in 2018 and beyond. In any SEO campaign, one thing is indispensable: your audience will always be a top priority. Basically, the audience is the main reason – the driving force – behind the campaign. Understanding your audience through the lens of SEO can be a challenging feat since there are many factors at hand. Periodically, consumers often tend to change their searching habits, impacting SEO campaigns as a whole. To understand your audience, you need to implement some key strategies. There’s no doubt that the search and social media have both created its impact in many industries and businesses. Almost all business transactions and deals are now affected by the shifting tides of social media and Google. Entrepreneurs have also taken advantage of this, utilizing the search engine and top social media platforms for their purposes. If you need relative consumer data for your campaign, Google and social media can be your best bet. People tend to reveal their habits, needs, problems, and wants in these channels. The more defined your audience will be, the easier you can shape up your goal in SEO. Consumer information in Facebook or Google can be staggering, so you need to develop an efficient strategy. Your SEO campaign won’t be highly effective if you cannot find a bridge that will connect your business to customers. That bridge should be the level of interaction that you want to implement. What are the communication tactics that you’re going to apply? How extensive will your communication lines will be? Learning more about the behavior of your audience is crucial. How often should you bug them through your preferred medium? What are your planned mediums of communication? There are a lot of mediums to choose from, actually. It could be in a form of a blog page/post of your website, your social media accounts, through emails, or chat boxes and pop-overs. And this is where content marketing kicks in. These questions can help you figure out your audience interaction process and can also boost your SEO campaign significantly. Content marketing is one of the essential components of SEO. In a different context, content marketing has branched out and gave way to new dynamic strategies. Now is the right time to reach your audience through proper content utilization. It takes continuous streaks of experimentation to figure out the type of content that your audience will respond to. Patience is a must because proper content marketing can take a delicate amount of time. Reaching your audience shouldn’t be the end step of your campaign. The journey is just beginning; you (or your team) should sustain the campaign and learn more about the quirks of the audience. If only one truth will remain about the Internet, it’s the fact that keywords make up everything. Through those keywords, people can look for answers to their problems or queries. Online strategists and entrepreneurs took advantage of such keywords in order to optimize search results and visibility. This gave way to the process of keyword research – a strategy that still needs to be fully explored and utilized. Are you planning to create your own business this year? If yes, then you must understand the sheer importance of keyword research. By optimizing your website with proper keywords, you can save delicate amount of time. The possibility of reaching your customers can increase substantially. On the other hand, your customers can also save time because they will get the information they need within a minute or less. Remember that time is an important factor in any business. Exposure can mean everything for your business. If your business doesn’t have the visibility it needs, then you’re not running an efficient engine. To get proper visibility, you need to cash in on the right keywords according to your niche. This is where extensive keyword research comes in. You should understand how your customers craft their keywords to get the information they need. Understanding the demographic can help you formulate the right keywords to build the visibility of your business. When you’ve formulated the right set of keywords and generated high rates of exposure for the week, you can relax a bit. Afterwards, you should put your thinking cap on and generate new keywords for your business. The reason for this is the projected change of keywords. Every now and then, customers come up of new ways on using search engines. They will probably mix and match words to get results. Progressive thinking is needed if you want to stay ahead of your customers. To make it easier, it’s beneficial to come up of adaptable keywords—those that can be interchanged without having too much immediate effects. Location-centric keywords are also useful, but you need to be strategic in using them. Adding locations and areas in keywords (e.g. SEO specialist in Metro Manila, real estate property agent in Makati) can strengthen your visibility in one point, yet you’ll have weaker points as well. As the old adage goes, balance is still needed. Keyword research is an ongoing process—just like a marketing campaign. Sometimes, it’s more helpful to outsource the keyword research process to a team of experts. By doing such strategy, you can now focus on the other aspects of your business. I actually did a more comprehensive post on how to search the best SEO keywords for your website which I expounded some of the nitty-gritty tactics I’m personally using in digging golden keywords for my sites and blogs. However, this infographic below will also help you understand the value of keywords and their impact to your website’s SEO. How to Shift from Link Building to Link Earning? Link building is a major part of SEO. That’s a given. Without any dedicated link-building process, an SEO campaign will be almost powerless. In fact, links can be traced back to the early beginnings of SEO. With the help of links, people were able to get the information they need, and businessmen got their intended results. As SEO continued to change dynamically, the process of link building somehow turned to ‘link earning,’ although this shift did not happen overnight. Modern-day link building process touches base with various factors. If you invest time in learning about these factors, your link building process can earn revenues in the long run. During the early days of SEO, creating links in websites and connecting them is like a walk in the park. If you ran a campaign back then, you probably encountered crude websites that are infested with links. The content of those sites aren’t even worth talking about. While those backlinking techniques became prevalent in the past, they are useless nowadays after the numerous updates of Google. Some of the common techniques that have fallen out of favor are buying and trading links. This became a lucrative trade in the past, especially shady hat practitioners. Today, the process of building links will take time and efforts. In many cases, you’ll need a certified link builder to support your campaign. Despite the strictness and preventive measures implemented by Google, there are numerous ways that you can try to shift your campaign’s focus to link earning. One of the best methods is to create interesting and dynamic content that can win the hearts of your readers. If your readers are properly engaged, your websites will get proper visibility and this can increase the flow of revenues. New opportunities can also be introduced to your business. Before overhauling your entire campaign for link earning initiative, you have to make sure that all factors are properly covered. Your websites should be relevant to your target niche. In addition, the content should also reflect the nature of your websites. As you continually build your links, your SEO campaign should also move forward in many different ways. By taking links seriously, your SEO campaigns will get the progress rate needed. So, step back, analyze, and make sure that you have an extensive link building plan. Want to Do Link Building by Yourself? There are a lot of ways on how to successfully earn and build links that could give value to your site’s pages. PRO TIP: You can check out the 101 Actionable Link Building Tips and Link Building 2018 Guide created by SharpRocket. So why do online businesses need an SEO strategy? Formulating an SEO strategy can be tricky because there are many factors that must be considered. In establishing the online presence of your business, you need to have a bird’s eye view of everything about your website and online reputation. Expectations must be set because they will keep you in the right direction. Once you’ve properly established your business goals and directives, you can now proceed to the creation of your SEO strategy. If you are an online business, think of a reason why you built a website in the first place. Yep. Exposure. Lots of it. You may consider the Internet as a large sea filled with islands, ships, and a thriving biosphere. Once you start aiming for online presence, you are a mere ‘dot’ in that sea of online hustle and bustle. How can you – an aspiring entrepreneur – create a presence in the vast online world? It is possible through the means of an SEO campaign. The right SEO campaign can give continuous exposure to your online business, even though maintenance can be quite challenging. Remember that exposure is very important to your business; in a way, exposure is a business fuel that you must always think of. SEO campaigns can bring high amount of exposure to your business if they are well-calibrated. A single SEO campaign has the potential to reach many people around the world. If the campaign utilizes all techniques properly, the results are even better. Before gearing your campaign to reach your target audience, you have to determine the solutions that you’re going to implement. Are you planning to create dynamic and timely content? Will you choose the traditional methods of forum marketing? Which social media platforms are you going to utilize? These are just some of the basic questions that you must answer to calibrate your SEO campaign. Business stability is a goal that many entrepreneurs are aiming for. There are many ways to achieve stability, and you can start in the area of online presence. SEO can help you with this. As your campaign pushes on for months, your business can build a strong following, and other entrepreneurs will respect you as well. Later on, you can create more deals that can make your business grow. Bottom line: you need SEO if you want your business to survive in the modern setting. It’s an irrefutable fact that you must face. PRO TIP: See KaisertheSage’s SEO strategies for some solid online marketing techniques. Content marketing is one of the best ways to establish the brand of your business. By harnessing the power of content, your business can be exposed to all possible niches, conversation circles, online portals, and active communities. Nowadays, a great emphasis is placed on the sheer power of content. A well-placed content strategy can establish your business in your chosen niche, while poor content can attain the opposite. To create a good content marketing initiative, you have to understand its foundations first. On-site and off-site content may be two different things but they can affect your content marketing campaign in numerous ways. While you can focus on one type of content creation method, it’s advisable to do both. On-site content is all about the improvement of content in your website, while off-site content is focused on external methods. Just remember that doing both methods can take considerable amount of time and money. The effects, however, can benefit your business in the long run. The combination of these processes is important in knowing how content marketing works. Both content initiatives are developing fast these days, so you have to keep up on what strategies are you going to apply. If you think that content is all about exposure and the proper relay of links, then you should rethink. As Google launched its key updates, the nature of content changed rapidly. Website owners and businessmen modified their content, focusing on quality and actual solutions to consumer problems. Others who failed to follow suit were penalized greatly. You should view content in a different light now. Content is actually established for branding purposes. In this way, you’re minimizing the risk of your sites getting penalized. Alternatively, brand-focused content can improve the overall value of your business. People will trust real content that can present solutions, unlike crude ones that are only focused on revenues. Social media plays an important role in content marketing. You can see this in Facebook where tons of content and data are relayed every single day. Facebook can drive traffic to your sites if you employ a competitive content marketing strategy. Other potential social media sectors are Instagram, LinkedIn, Google+, Pinterest and Twitter. If you can utilize the strength of social media as soon as possible, the visibility of your business will increase greatly. Content marketing is becoming a respected discipline on its own. PRO TIP: Be omnipresent with your content but invest in proper content creation (onsite and offsite). Social media has contributed to the growth of most businesses today. With dozens of social media platforms to choose from, there are many ways on how you can build your business. Because of the rise of such platforms, the whole discipline of social media marketing has changed for the better. Now, social media marketing became more comprehensive and direct to the point. To take your business to a whole new level, it’s important that you understand social media marketing’s main foundations. Social media is full of day to day interactions that are almost impossible to track. In Facebook alone, thousands of users are discussing about many topics through groups and communities. This empowered business niches, and entrepreneurs took advantage of such informational boom. If you want to gain exposure for your business, you should learn how to keep track of these interactions. You may need to get some free and premium social media tools to assist you or join popular social media groups under your chosen niche. Observe everything in those groups – the discussions, flow of information, and the people involved. By taking note of everything, you’ll know how to plan your social marketing campaign. With social media branching effectively in the mobile sector, the rate of connectivity has increased. It’s all about comfort and convenience after all; people want to view their social media sites at the comfort of their own smart phones. Your social media marketing campaign should utilize strategies that emphasize mobile responsiveness. In this way, your business can be introduced to many mobile users. Not focusing on mobile connectivity is like throwing a good opportunity away. Many experts believe that customer engagement changed as new social media marketing strategies were introduced. Engagement is very prevalent in social media. If you can utilize the power of engagement in your campaigns, then there’s a chance that your business will have a great reputation in social media. Just understand that this will take time since customer engagement is really difficult to analyze (extensive research is needed). To get the most out of social media marketing, you have to step back and analyze what you know about social media. Determine what you can contribute to the field and focus on giving solutions instead of just thinking about profits. You can integrate and apply the essential elements of SMM by Social Media Examiner to your social media marketing campaign. Social SEO (term coined after combining both SEO and SMM). The purpose of Social SEO is to use top social media channels (FB, Twitter, YT, G+, etc.) to help improve your rankings. Let’s say you got a cornerstone content on your website that you wanted to have a lot of traction. You can amplify the visibility of your cornerstone content by sharing them in social media. You can use Facebook or Youtube advertising with the goals of attracting a specific audience or influencers to visit your content. If done right, these well-targeted audiences and key influencers may be able to help cross promote your cornerstone content to their followers or they may be able to give you a link from their respective websites (learn more about ego bait linking). Social SEO can be a powerful strategy and it works but you need to set your expectations and have a clearer objective should you decide to run this type of marketing campaign. You can still get better rankings in the search results without paying any attention to social SEO. If you think social SEO connects with your site’s SEO goals, give it a go. ADDITIONAL NOTES: People loves visuals. Engagement. That’s what moves them. That’s what makes social media sites more lively. You may also want to checkout Youtube SEO. Most SEO campaigns are bound to be costly (or not), especially if you’re aiming for full maximization. Each aspects of your website should be monitored closely to know if expectations can be reached. You may think of the campaign as an actual military skirmish; objectives are already set and there are expected hardships along the way. To make things difficult, search engines are fickle, algorithmic creations — predicting their patterns is going to take a lot of work. In order to maximize your SEO campaign, testing and learning new strategies should be implemented. The premise of keyword research has changed over the years. Keyword research tools are great especially if you aim to look for statistical data and comprehend your audience. Such tools are necessary to boost your campaign, but times have changed. Consumers tend to change their decisions in a whim, and they want quicker results. Hence, relying mostly on tools alone won’t give 100% keyword search efficiency. What you need is a multidimensional and dynamic keyword research strategy. This means that you have to stretch far in order to get the data that you need. Reaching out to few communities is not just enough — you have to build long-term connections. Digging the popular keywords doesn’t give you the guarantee of the best profitability; you have to explore the top keywords and double-check with other inherent research materials. You may also want to shift the initiative to the usage of long-tail keywords. This is a promising method that brought significant results. Do not be stuck with one keyword research strategy. Always plan ahead because strategies do not work forever — they must be developed for the better. Whether you believe it or not, content is still one of the masters of SEO. Content will still be king as long as the Internet is up and running. It’s time to focus on the quality of your content. Ask yourself if your business content can deliver the right solutions to people. Improving your content is hard work because you need to know your niche and audience by heart. Also, if you do not specialize in content, you should consider hiring an expert writer or a content marketing team. This will help you save more time. On-page optimization is the popular technique of improving the overall ranking of your website. This is a crucial process that’s somehow overlooked due to various external factors. Now, marketing and customer engagement are other important strategies, but if your website doesn’t have the ‘pizzazz’ and navigational prowess, people won’t stick for long. Optimizing your website will take a bunch of activities so you may need to ask help from other experts in the field. If you only have one site and you have delicate time in your hands, you can do on-page optimization alone. Maximizing your SEO campaign is a challenging feat. Good thing is, you can also learn SEO from the insights of digital marketing experts. KEY TAKEAWAYS: Keywords, Content, Technical SEO, Onpage SEO, and Off-page SEO are all essential and not just spices of your website’s SEO. These are all the things you need to consider in order to maximize your SEO campaign. 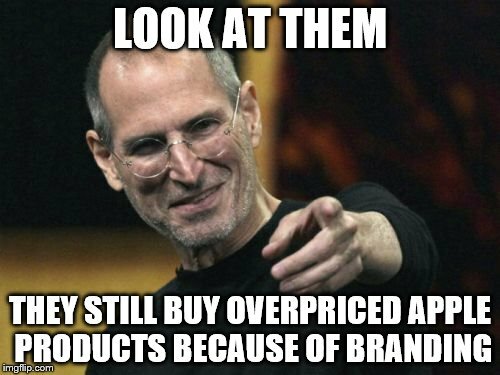 The brand is one of the more important parts of your business. It carries your ideology, belief, and message to the world. Since your brand is really that important, it’s even more fitting to think about your branding process. A definitive branding strategy can bring high levels of exposure and future revenues. Establishing your brand in the World Wide Web is a great initial step that can help you formulate the right strategy. While branding and SEO can be considered as two different processes, their connection runs deep. In every SEO campaign, strategists should always think about the branding effect. After all, the goal of every campaign is to make the brand known to people. SEO’s combination of digital marketing and content creation processes can influence branding A LOT. Though it may take some time before getting actual results, branding will become prevalent if the strategy is correct. So, in building your brand online, make sure that you’re putting SEO as one of your top priorities. Aside from sending your business message to your customers, your brand can also reveal several important principles. These principles will often come from the foundations of your business and they are essential in affecting customers’ spending power. Therefore, you need to make sure that your brand embodies the correct principles. This can be done through intensive research, and you may need to consult an expert to save time. Every business in the Web is aiming for a specific percentage of exposure and popularity. This can be achieved through continuous branding process powered by SEO. Aside from visibility, a good branding strategy can also help any business in establishing long-term connections with customers and other service providers. In other words, branding can raise the overall value of the business. Building your brand is not an easy thing to do. You will spend hours of brainstorming process with your team in order to figure out what strategies to implement. From the creation of your logo up to developing your site banners and profile images and even on how you voice out to your audience, everything matters and should be penned out. There will also be many trial runs since you have to determine if the results can truly hit their marks. PRO TIP: Improve your website’s SEO as it touches a lot of aspects of branding. How to Remedy a Major SEO Mishap? Despite the numerous controlling factors, analytics, and methodologies offered by SEO, some troubles cannot be entirely avoided. Such troubles can appear through harsh search engine penalties or many website-related issues. In some situations, the problem could be internal — your SEO campaign is probably facing a financial deficit. SEO-related problems shouldn’t just be ignored or shrugged upon. If a website is penalized greatly, whole campaigns will go down the drain. Hours of manpower will be wasted, as well as lots of money. If you’re planning to do SEO, you should know how to deal with major problems. Preparing ahead of time can help you a lot. Just like any trouble, it’s always good to step back and do a thorough analysis of everything that went wrong. Check out the layers of your SEO campaign to know where you came short or what was overdone. In the case of search engine penalty, you must know if it’s manual or algorithmic. If you faced a manual penalty, Google will notify you through a message via search console. The severity of the penalty can range from one page being penalized or the whole site removed from search engine results. To deal with this, you can send a reconsideration request to Google. This is like a plea that can bring your site to where it once stood. Unlike manual penalty, algorithmic penalty occurs due to natural updates in the search engine. You won’t be notified in this case. What you can observe is a steady drop in rankings. Use the Google Webmaster tool to see any relative changes and to prepare your imminent solution. Other internal business problems can be solved by implementing quick strategies. If the problem is money-related, you can get a quick loan to fund the campaign. Remember that if you’re doing SEO, the consistency of the campaign is very important to your success. A prevention plan is an effective solution that can solve most of your problems in the future. In the case of SEO, you need to become more vigilant with every process. Search engines are still unpredictable even if you have lots of tools in your disposal. Compile a list of strategies that you can apply to possibly prevent the scenarios from occurring. Keep in mind that all strategies won’t work forever so you need to improve them from time to time. SEO mishaps can be gut-wrenching indeed. However, they can be prevented with the right processes and solutions. Do not underestimate the capabilities of search engines, especially if new updates are rolled out. If the problem is too great, you can always get the insights of respected SEO strategists. The process of converting web visitors to customers can prove to be challenging more often than not. On average, a person stays in a website for not more than 1 minute — depending on the popularity and attractiveness of the site. Within 30 to 40 seconds, you should be able to leave your mark on the visitor to increase the chances of conversion. Nowadays, the importance of customer conversion has become more dominant than ever. Competition is on the rise, and website visitors are now looking for reliable, beautiful content. Therefore, understanding the importance of customer conversion can bring changes to your business. Tell me, how do you woo someone who’s a total stranger? This scenario is somehow significant to your customer journey — from being total spectators until they become your loyal customers. Once a visitor appreciates your website down to the last page, it means he loves everything you are showing him. Sooner or later you can expect that he will become your brand ambassador. In order to maintain such momentum, you should invest in the creation of good content and a decent-looking website. Present your content in a way that your audience and customers will understand the core aspects of your business – the products or services, and even your goals. It can help you market your website effectively without hard selling. The power of suggestion can take your business to different levels. Well, you should know how to entice the people who can make positive remarks about your business. In this case, your website visitors can play important roles. Once they admire your content, there’s a big chance that they will recommend your business to everyone they know (referral). This is how the world’s big businesses reached significant growth. Extending your connection to social media is also another important thing. If you are friends with your website visitors, you can establish stronger communication lines with them. More than that, you’ll know their common whims. Converting 1 or 2 website visitors is a good thing — maintaining the connection for a longer period is another matter. Efficiency is the key in customer conversion, and your website can be the most dependable channel in accomplishing such goal. It all depends on the level of conversion that you want. What is the size of campaign you want to initiate? You should keep in mind that the larger your campaign will be, the higher your upkeep will increase. But once you’ve forged a continuous stream of conversion process, the stability of your business can be established. Website visitors are not automatons who’ll just respond to any stimuli. They need better content than anything else — great content that can keep them interested for years (evergreen content). PRO TIP: Map out how to funnel your audience (customer journey). Create custom landing pages and do A/B split testing. Set customer conversion as your goal for these landing pages. Want to learn more about how SEO can help you grow your company’s sales month-after-month? Get my exclusive digital marketing strategies straight into your inbox!